It will be a walk in the park with no complications whatsoever. Those are nice-looking backgrounds with rocky textures. 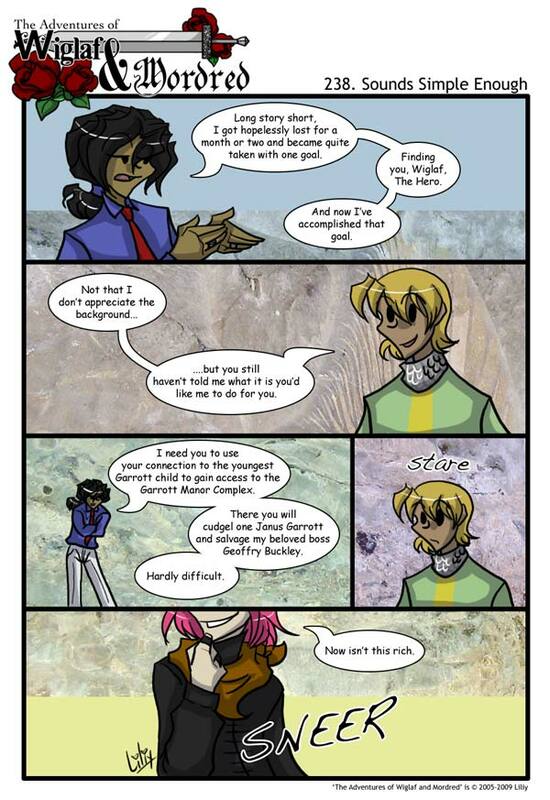 I also like how you fixed the top and bottom panels so the backgrounds are divided between plain and rocky. Seeing as midnight Eastern time is only 9 o’clock for me, I check comics quite frequently. Not yesterday though. Too bad. xD I think I like where this is going. Even more simple is to pretend that Mordred is at his sisters’ and Arthur Jr. will distract her for them. Mordred’s hair going back to black will make me sad, but both colors suit him so I’m not going to cry too many buckets over it.